The $100,000 Maxxam Gold Cup is the marquee feature of Saturday night's Maxxam Gold Cup Racing Festival, but each of the three turf stakes on the ten-race card came up with full and highly competitive fields. Fillies and mares will star in the$50,000 Jersey Lilly Stakes and a solid group of classy turf sprinters will compete in the $50,000 Bucharest Turf Sprint. The$50,000 Texas Heritage Stakes for 3-year-olds will also be run on the Connally Turf Course for the first time. Patrons are invited to attend the Wine Tasting at the Track on Saturday evening. 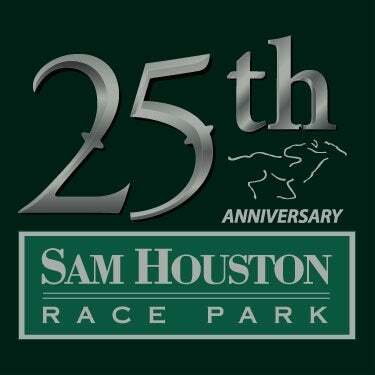 Admission to the special event is just $20.00and includes general admission, six (6) wine tastings and a commemorative Sam Houston Race Park tasting glass. Cassatt owned by Fox Hill Farms, Inc. and Hill 'n Dale Equine Holdings, Inc. captured the 2015 Houston Ladies Classic at Sam Houston Race Park. 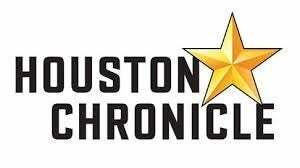 She returned last month to defend her title in the richest Thoroughbred race in Texas, finishing third in the mile and one-sixteenth main track stakes. Trainer Larry Jones had been wanting to try the 5-year-old daughter of Tapit on the turf, and she will break from the far outside post with Florent Geroux as the 7-2 choice. "She has a very nice turf pedigree," said Jones. "We've never had an opportunity to try her on the grass. 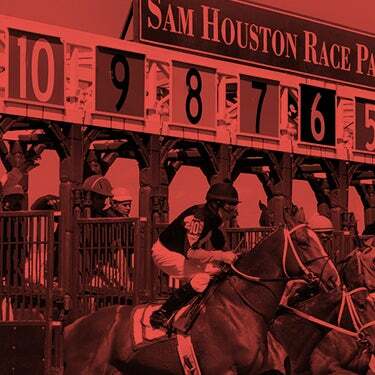 I've always said that Sam Houston Race Park has one of the nicest turf courses in the country. If she doesn't like it there, I'll just have to assume she won't like it anywhere." 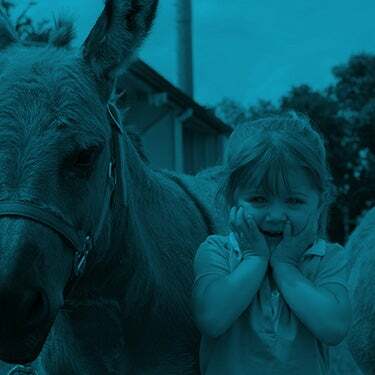 The $50,000 Jersey Lilly drew a full field of 12, and Jones is hoping that Cassatt, who has a noted front running style, can fly from the gate and get to the lead. "She and Florent will have to work that out," he added. Breaking to her inside will be Columbine Stable LLC's homebred Treaty Oak, a 5-year-old War Chant mare, trained by Al Stall, Jr. Winner of four of her 18 career starts, Treaty Oak ran fifth in the Marie Krantz Memorial at Fair Grounds last month, before rallying for a victory in an allowance optional claimer on February 11. Miguel Mena is the regular rider of the bay mare, and will make the trip from Fair Grounds. "It's taken her a while this year to get into form," said Stall. "Last race was a good one for her; she got a firm turf course, and it set up for her to make one run." Trainer Mike Maker has won the Jersey Lilly three times, all with progeny of Kitten's Joy for Sarah and Kenneth Ramsey. Last year, his winner was Kitten's Queen; in 2014 he won with Always Kitten and captured the 2013 edition of the turf stakes with Artemus Kitten. This year, Maker will double his chances with Asperites(IRE), a 6-year-old daughter of Danehill Dancer, owned by the Ramseys and the 4-year-old English Channel filly Susie Bee, owned by Calumet Farm. "Asperites needed to be covered up in her last," said Maker. "She'll figure with a better trip. Susie Bee was in against tough company at Gulfstream Park. She was outrun in her last stakes; we wanted to find a softer spot for her." The Jersey Lilly will run as the sixth race on the card, which gets underway at 6:15 p.m.
Midwest Thoroughbreds Inc's Galton, has been installed as the 7-2 morning line favorite in the five furlong Bucharest Turf Sprint. The Kentucky-bred son of Offlee Wild, trained by Tom Amoss, was a convincing winner here last month in the$75,000 Frontier Utilities Turf Sprint. Jockey DeShawn Parker has the return call, after guiding the bay gelding to victory, sitting off the pace, splitting horses and drawing clear in a final time of :56.69. “He's a very fit racehorse," said Amoss. "He's been back at Fair Grounds and doesn't need a lot of work between starts. Our draw is fine and DeShawn knows him." The post time favorite in the Frontier Utilities Turf Sprint was Marchman, owned by Martin Racing and trained by Bret Calhoun. The son of Sharp Humor ran in the Grade 1, Breeders' Cup Turf Sprint last November at Keeneland. He will break from post position 11 under Robby Albarado. Several other runners from the Frontier Utilities Sprint will return on Saturday evening, including runner-up, Billy Two Hats and Brilliant Interest, who set the early pace, and finished third under Patrick Valenzuela. Trainer Joe Sharp will have six horses headed to Houston for the Maxxam Racing Festival, including two entrants in the Bucharest. El Botas was claimed for $25,000 by Brad Grady and made his last start in the $150,000 Sunshine Millions Sprint at Gulfstream Park. Newport Stables LLC claimed American Sailor, a 4-year-old son of City Zip, who takes the step up to stakes company after a solid turf win at Fair Grounds on February 7.Brian Hernandez, Jr. will pilot El Botas and Sharp will give a leg up to Miguel Mena aboard American Sailor. The final stakes of the evening is the $50,000 Texas Heritage Stakes. It attracted a field of ten 3-year-olds to compete at the distance of one mile and one-sixteenth on the Connally Turf Course. Trainer Mike Maker ships in Two Step Time from Florida in pursuit of his third lifetime win. Owned by Get Away Farm, the son of Two Step Salsa just missed in the $100,000 OBS Championship on January 26. Robby Albarado will ride the bay colt, installed as the 7-2 morning line favorite. "He's a nice, useful 3-year-old," said Maker. "He's been training well since his last race." Paul Van Doren's Crescent Drive makes his United States debut for Tom Amoss following three starts at Woodbine in Canada. DeShawn Parker will guide the Flower Alley colt from the far outside post. "Mr. Van Doren recently bought this horse," said Amoss. He hasn't run since November, but has worked well at Fair Grounds. He likes to come off the pace, so we think this will be a good spot for him." Regal Kitten, a son of Kitten's Joy, bred and owned by Sarah and Kenneth Ramsey, will make his stakes debut for trainer Joe Sharp. Brian Hernandez, Jr. has the mount. "He made up a lot of ground in his last race," said Sharp. "Mentally, he is maturing and seems capable of competing at this level." Top Texas horseman Danny Pish trains and co-owns Mending Fences with Denis E. Foster. The son of Colonel John broke his maiden at Fair Grounds on December 19 before taking a major step up to the Grade 3, $200,000 Lecomte one month later. David Cabrera, currently the third-leading jockey in Houston, will ride. This is the first year that the Texas Heritage Stakes has been run on the turf. It has been a springboard race for several notable 3-year-olds including Departing, who won in 2013, then added four graded stakes. Kip Deville, captured the 2006 edition of the Texas Heritage Stakes, before winning the 2007 Breeders' Cup Mile at Monmouth Park. As previously announced, the $100,000 Maxxam Gold Cup attracted a field of 12 exceptional horses to compete at a distance of a mile and one-eighth on the main track. It will be run as the seventh race of the Saturday night card. The complete field, in post position order, with riders is: Behemoth, Robby Albarado; Coup De Grace, Florent Geroux; Ride On Curlin, James Graham; Lynx, DeShawn Parker; Mobile Bay, Edgar Prado; Ibaka, Lindey Wade; F J Uncle Vic, Ernesto Valdez-Jimenez; Hawaakom, Miguel Mena; Freestyler, Brian Hernandez, Jr.; Jessica's Star, Patrick Valenzuela; Cuco Trejo, Adrian Ramos and Bullards Alley, Marcelino Pedroza. The $100,000 Maxxam Gold Cup has had a rich tradition since its first running in 1994. Past champions of the mile and one-eighth main track feature include Sir Cherokee, Valhol, Student Council, Alumni Hall, Red Rifle and last year's winner,Brereton Jones' homebred, Albano. There were showers earlier this week in Houston, but the weekend is expected to be perfect racing weather. Saturday's forecast is for a clear, sunny day with an afternoon high of 74 degrees and a low of 48 for the evening.